How differently would we live if we believed that every dimension of our lives--from the happy to the tragic to the mundane--were part of a beautiful and purposeful design in which no thread were wrongly woven? That's what best-selling author and internationally-known apologist, Ravi Zacharias, explores in The Grand Weaver.As Christians, we believe that great events such as a death or a birth are guided by the hand of God. Yet we drift into feeling that our daily lives are the product of our own efforts. This book brims with penetrating stories and insights that show us otherwise. From a chance encounter in a ticket line to a beloved father's final word before dying, from a random phone call to a line in a Scripture reading, every detail of life is woven into its perfect place. 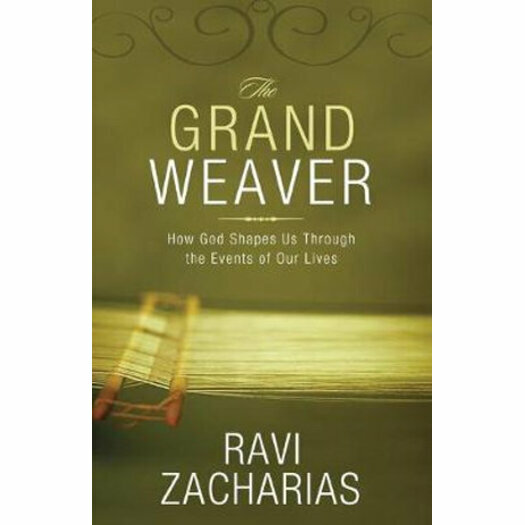 In The Grand Weaver, Dr. Zacharias examines our backgrounds, our disappointments, our triumphs, and our beliefs, and explains how they are all part of the intentional and perfect work of the Grand Weaver.Also available: unabridged audio CD.